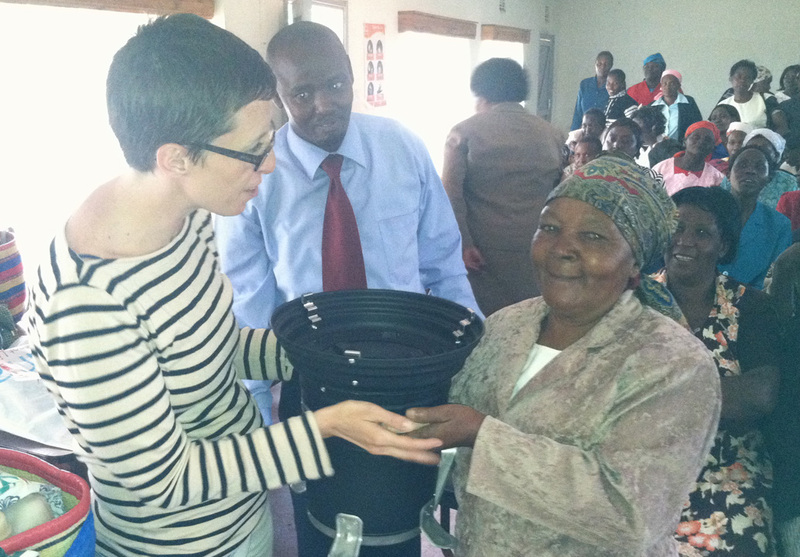 BwB is currently undertaking a volunteer project in Kenya with Paradigm Project, whose goal is to distribute 5 million stoves by 2020 – benefitting up to 25 million people by reducing respiratory disease-related deaths, by helping women reclaim up to 15 hours a week from gathering fire wood, and by reducing fuel use and increasing household incomes by 15%. Through a partnership with another social enterprise, Affirm Global, Paradigm distributes its stoves at an average price of $25 per stove. Participants along the distribution channel – from local store dealers to “last-mile entrepreneurs,” along with the poor women themselves – often need access to credit to purchase inventory or the stoves themselves. Given the high interest rates in Kenya, Paradigm is exploring alternative financing options for its partners and customers. This is an area where BwB volunteers could help. VEP is a local NGO working with more than 7,000 Kenyan women from rural communities to help them establish profitable enterprises by providing access to microfinance services, training and energy development projects, including solar lighting, clean cook stoves and biogas construction. More than 200 self-help groups, which lend amongst each other or as a unit, can choose to access additional credit from VEP based on the collateral that exists among their group savings. This microfinance network also serves as a distribution channel for the Paradigm Project’s clean cook stoves – the women themselves buy the stoves, and can access credit to buy inventory and sell the stoves to others in their communities. Seraphina, the soap maker mentioned above, is one of 200 group leaders I met while attending a training-of-trainers on stress management. These women are dealing with serious challenges and need a support network to deal with the issues – ranging from suicide, adultery, family addiction and more –that they and the other members of their self-help groups face. The training I attended included a lot of singing, dancing, praying and complaining about husbands, while discussing what they can do to support each other and keep their families strong. At the end of the training, as the special guest I was given the honor of presenting Seraphina with a cook stove that the other leaders purchased as a thank-you for her wisdom and leadership to them – she is the eldest of the group leaders. Humbly, I also received a gift from the women themselves — some porridge, roasted sweet potatoes, bananas and a beautifully beaded purse made by one of the women represented. These women were so grateful that there are people from places like the United States and organizations like Grameen Foundation who actually care and want to help them improve their lives and families. While in Nairobi, I also met Joyce Wengai, a managing director at microfinance institution Paddy Micro Investment. In June, Paddy launched a new product called Pesa Pata, which is being hailed as a potential game changer in terms of giving the poor easy access to small loans from their local kiosk stands. Joyce realized that local kiosk owners were already loaning sugar and other items to poor people in their communities. They know who is trustworthy and who will pay them back. By loaning them scratch cards in different amounts, ranging from 250 to 500 Kenyan shillings ($3 to $6), these kiosk owners could formalize their existing lending practices, and the poor themselves could also borrow in the form of scratch cards. After the card is scratched, the customer and kiosk owner transfer the funds via their mobile phones using a combined series of unique identifiers (the customer’s scratch card ID and the kiosk owner’s unique ID). In just one month’s time, thousands of kiosk owners across Kenya have signed up as Pesa Pata dealers. It will be interesting to see what kind of intersection we see between Pesa Pata and the ability of poor women like Seraphina to access affordable credit to help them with investment purchases like Paradigm’s clean cook stoves – or to simply smooth cash flows, given the fluctuation and unpredictability of income and shocks in the lives of the poor. Grameen Foundation and I have a lot in common with poet Emily Dickenson – we all like to “dwell in possibility.” Possibility brings hope and opportunity for poor women like Seraphina, in nations like Kenya, and for organizations that resiliently continue to focus on eradicating poverty. What could happen if the Prime Minister’s public-private sector coalition is successful at connecting the dots between the needs of the country’s youth and the volunteer opportunities that exist today – or could exist in the near future? These opportunities could provide job training and even help prove the creditworthiness of Kenyan youth, while providing clear pathway to jobs and credit for microenterprises (from groups like VEP or Paddy Micro Investment) or microfranchises (such as the entrepreneurs selling clean cook stoves in rural communities throughout Kenya). These are the kinds of collaborations that Grameen Foundation works to identify, implement and expand, because we know that no one organization, no one set of individuals, can tackle global poverty. But, together, much is possible. I was reminded of this time and time again during my travels in both Asia and Africa over the last six weeks. How can you help “connect the dots” on behalf of Grameen Foundation’s mission to create a world without poverty? Bankers without Borders welcomes your suggestions. We profoundly believe in the power of connections. This entry was posted on July 26, 2012 at 7:00 am and is filed under Bankers without Borders, Business, BwB-Import, Kenya, microfinance, Volunteering. You can follow any responses to this entry through the RSS 2.0 feed. You can leave a response, or trackback from your own site. Thank you Director(BwB)for a good work and a wonderful message of connecting the dot.May God help VEP to continue empowering women inorder to allevate poverty.with the support of BwB more women will be empowered. Majority of the people in Kenyans and around Africa are living below in poverty- bottom of the pyramind. having done some research, its encouraging for organizations like VEP to have identified the problems that our people are experincing and being able to empower and eradicate poverty. The improved cook stoves are such a step, helping minimise the carbon levels and also helping the community in conserving the environment and also being able to save a dollar a day. I am a kenyan and Im prepared to leave what im currently doing to be able to give back to the community by training and empowering my people. Information is power and it is natable that most people in our community are lacking this information. Let us join hands and eradicate poverty.